Nimo H. Farah uses language to express things she finds too confusing. Part of her current undertaking is to develop her skills as an orator while blending Somali and English. 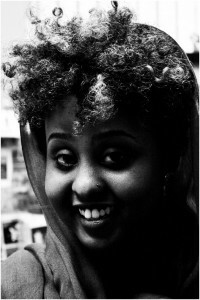 She thinks herself charming and hilarious in the Somali language, often making herself laugh. But rarely does that humor translate into English. It’ll be magical when she learns to fuse the two languages together seamlessly. She currently resides in Minneapolis, Minnesota, and imagines traveling to the moon or maybe peacefully living in Mogadishu.